12 unique Ways To Make Money On Facebook! Making money with facebook! If you are a facebook user or have been around social networking sites for a while, you probably have heard that. But, is it really possible to make money with facebook? How would you go about making money on facebook? 1. Radical Buy This is almost like a facebook made ​​ebay. You can sell just about anything on your Facebook page with the help of this unique app. List an item and have it visible to all Facebook users instantly. Now it’s cool you think you can offer commissions to others who will sell your items on their Facebook page, so you can reach more potential buyers. Of course this means that even if you do not have any entry for sale, you can view other peoples items on your Facebook page and earn money with the Commission, you get to sell the stuff. Sadly RadicalBuy has discontinued its widgets and apps and doesn’t work any more. I will try to find another good app that can be help you make money with your Facebook account, as soon as I can. 2. My Merch Store If you have red my 9 Website To Make Money With By Designing & Selling … article, then you know about zazzle. Well, now zazzel allows you to create and design any product on their site(which is free) and sell them on your face book. Think about the potential buyer base for customized t-shirts and hats and etc, specially if you have a lot of facebook friends. You can also sell product created by other artists and earn a commission on those. So, even if you don’t want to deal with designing, you have a way to make money on face book using zazzle. 3. Cafe Press It’s the same idea as zazzle, but with a much bigger and well known online store. Cafepress lets you easily sell any product from anti Obama Shirts to pro Obama Shirts, on your facebook and make money, whether it was created by you or someone else. 4. Ether Ether is a website you can make money by giving advice to people over the phone or by chat. But now you can use its new application on Facebook to make money while giving advice to people over the phone. If you are good at giving advice, this may be a way for you to earn some extra money on facebook. Even if you know a second language, this app makes it easy to teach others and make money. You set prices and Ether provides a number that individuals can make. The call will then be sent to your personal phone number. 5. Music Blaster With MusicBlaster you can put a simple little music store on your facebook, and sell music from BlastMyMusic.com. You earn 5% for each song sold. The cool think about this app is the fact that you can help your favorite band or singer to sell their music while you make money, as well as helping them to gain more exposure. 6. Garage Sale The name says it all, its the good old Garage Sale, but a “facebooky” Garage Sale. Simply add Garage Sale to your profile page and list every thing you want to sell. When someone buys something, Garage Sale automatically bills the buyer’s credit card and lets you when to ship the item. Your money is deposited directly into your Pay Pal account, or you can request payment by check. However they charge a 5% commission on the total sales price, but that’s all. No other fee for setup or anything like that. 7. Shopit Shopit is a free Social Commerce Network that gives users the ability to buy, sell or trade any product or service. Simply add a free store to your facebook and sell anything you like. Another easy way to make money on facebook. 8. FlameTunes FT was founded in 2007 by an Iranian-American named Nima Khakpour. This app is more for the artists to sell their music. So, if you are an artist, FlameTunes enables you to sell your music on your facebook. You can also use it to sell music on myspace. 9. Lemonade Remember when you setup your first lemonade stand in your community? Well, this app allows you to use the same concept, combining commerce and community, and have a lemonade stand in a digital (facebook) neighborhood. Basically you add what you want to sell to a lemonade stand, and put it on your Facebook. It’s free and easy. 10. Ebay Who knew that was coming? Yep, you guessed it. Now you can get your eBay on Facebook. This application allows you to add eBay auction listings in your profile. Sell ​​stuff to your Facebook friends from crafts, jewelry to diary entries, underwear and date dinner or just what you sell on eBay! You also have the option to add a charity auction to support you on your Facebook profile. I think it’s a very clever way of combining eBay and Facebook, and you do not even need an eBay account! 11. Lending Club It’s almost like prosper, where you land money to others and make money with the interest you make from the loan. Not to worry though, lending club has all the detail covered. So, it’s completely safe, and the whole legal and trust issues are taking cared by lending club. If you can use it safley, it can be a good way to make money with your facebook. 12. e3buy Auction Buy, sell or trade anything. Auction your used or new things. With e3buy you can open a custom shop, upload your logo and start selling things. unlike ebay, there are no commissions or fees to be paid. it is completely free to use. It is also fully integrated with PayPal, so you can get paid quickly. If you know of any app that makes it possible for one to make money using facebook, let me know and I will add it to this list. There you have it, 12 Free applications that you can take advantage of to make money on facebook. They say it is free. They also say that Mark Zuckerberg – the man who started Facebook – is one of the richest people in the neighborhood – apparently a billionaire. So how the hell this man to give free accounts to its users and be happy sitting on top of a gold mine? The figures on annual income around Facebook going to stop his heart to say the least. The numbers were all bandied about U.S. $ 500 million, which means that since 2007, they are more or less a doubling of their income. All this from a free website! So where is the money? This article will answer the question, how does Facebook make money and solve the mystery for you. A free account notwithstanding, Facebook is making money. And much of it. How does Facebook make money? If you knew how Facebook does financial work! I will solve the mystery for you in one simple word – advertising. The same thing that most sites around the world running. That’s the big secret behind burgeoning revenue from Facebook. If you open your Facebook profile, you will see that while the right of the page is filled with ads. You can use the thumbs up to the ad or the thumbs down. The thumbs down will remove the ad and it will not come back. How do these ads work? Well Facebook is definitely a smart social networking institution which knows where to place ads. Like Google AdSense, Facebook also offers an ad on the pages based on the interests and the public profile of the user. So, if you are in your profile that you are a fan of Nike and other sportswear brand, their ads will appear on the right side of the page for companies and websites to sell. Facebook ads are not intrusive and so people are not annoyed with them, unlike we do with those super-annoying pop-up ads. And their advertising system is logical, because it ensures that the right ad to the right customer, because the ad is selected for an individual page based on the interests and wishes of the user. This prevents unnecessary waste of adspace on the page where the chances of the ad is “hit” are theoretically quite low. The advertising system on Facebook, user gives a “thumbs down” feature, which ensures that some ad does not appear. That is a pretty interesting thought, given that the ad is not a chance of being clicked and leave the users will continue to annoy them. Ever sent a virtual gift on the birthday of someone? You must at some point, if you knew how to use Facebook. Well you do pay for some of them and much of the cash goes into the company. While simply writing ‘Happy Birthday’ is sufficient for some, the ‘tab to send a gift “on the wall of your friend to encourage others to send a virtual gift – paid for online. All the money almost always goes to the company, but if the gift is provided by an outsider, and then part of it is there. But much of it is still held by the website. The beauty of companies like this working on different platform is the abundance of business ideas that they brought to table.Performance advertising is a unique answer to how does Facebook make money. Let’s take the example of Farmville, which is fairly easy to do on Facebook. Now the application is offered for use to the users of Facebook and the parent (Zynga) gets a lot of traffic because of the popularity of the game on Facebook.Therefore not entitled to contact a piece of that pie to take? After all, they provide a platform for gaming companies like Zynga their burgeoning user base. So Facebook is a bit of money there as a “rental” for the use of their users. I think the answers to your questions about what contact and how does it work and how does Facebook make money. Now this information about how Facebook makes money is largely speculative. Facebook is a public company and have full freedom to not disclose their financial information – and they do not disclose their revenues and their sources of income. With the release of its new platform, Facebook, aos recent efforts in social media provides a unique opportunity for marketers, developers and companies to tap into the social network, aos young, active, and viral crowd. 1. SELL. Develop applications only for the purpose of selling them to interested parties. Several applications have already been acquired in this way, the most recent example is that of Moses, including the purchase of TextMe. 2. DEVELOP. An indirect source of funds: the development of applications for third parties. A number of companies are posting jobs on contract to take on the Facebook, aos developer forums.There is a large gap in supply and demand of available Facebook application developers, as a result, finding potential customers for a reasonable rates may not be a hassle. 4. Micro Payments. Selling services within Facebook using micro-payments. PayPal payments for access to premium services income could reasonably possible returns depending on the application, aos purpose, scope, and future users. 5. GET INVESTMENT. If you think something big on your hands and lack the means to this scale, are for investment through Bay Partners and others that have shown interest to fund Facebook apps. This would be the likely course of action for a startup with plans to expand globally within and outside Facebook. Facebook has a huge active community. It is reported that the 29 million active users, about half to log every day. This is a rarity among Web 2.0 companies (relative, Google Video has about 3% active users). If Facebook can convince its users to shell out $ 1 for that silly virtual Äúgift send AU images to each other, it is certainly a smart developer or starting to find other approaches to earning money from a Facebook application where no drowning in advertisements to their users. Due to the pace of innovation over the web, it is imperative that companies such as jumping on opportunities as they emerge.Bebo and LinkedIn are expected to have their own set of APIs for developers release and I personally can not wait to be among the first to tap into that possibility. I advise others to start planning too. Facebook has become a social networking phenomenon that began only with students but has now extended to all kinds of social groups. Many Facebook users are so addicted to this site, they spend hours exploring and using different kinds of social applications. Like the television, people spend more time behind their computers – browsing the web or trying out new applications on Facebook. As with more popular media like television, radio or print ads, Facebook will generate ads that go well with their applications.You can apply the same concept – make and sell a product. So, how do you do this with Facebook? Here are ways to get your profits run. If you already have a product you sell on Facebook – most especially if your product or service is suitable for 18 to 35 years old group. For example, if you own a twenty four hour pizza place, your page with your company and your products. Some students who go online during the wee hours of the night was supposed desire for pizza. Or if you have a bookstore, you can get a page asking people if they want a book online for a significantly lower price compared to other online booksellers to order. Know your customers and find ways on how to contact them. Join groups or causes so your presence would be more visible. Make your Facebook page interesting. A lot of people also search Facebook looking for interesting content, such causes to support, funny stuff or pictures that are worth a look at. You can start thinking of ways on how to make your page interesting, so would a lot of readers to your profile page. You only need a space for advertising on your profile page. Then, find advertisers who might be interested in setting up their ad banners on your site. If your page is about books, maybe you want to come into contact with the Amazon. It would be logical, of course, advertisers related to your actual content to get. You have nothing to sell on your Facebook page, you just have to set advertising spaces once you get the traffic rolling. Facebook is so popular because of the different third-party applications it offers. First, you must know what the market demands. What applications do Facebook users want? Most users are between the ages of 18 and 35 so it is understandable that most Facebook applications would be mashups between songs, videos, applications just for fun or their profiles.Applications range from free gifts to horoscopes to trivia games, personality tests or graffiti wall on their profile pages. These applications are viral – meaning it can spread in a matter of minutes! Yes, a lot of people are using your applications minutes after it is launched. That would mean that you can sell advertising space on your application. If you do not have the resources or money to get your application up and running, you can sell your idea to companies like Bay Partners and get developers to help you. Facebook is a social utility that people with friends and others who work, study and live around them together. People use to stay in touch with friends, an unlimited number of photos, share links and upload videos, and more about the people they meet to learn. Everything you need to join Facebook is a valid email address. To connect with coworkers or classmates, your school or work email address used to register. Once you register, join a regional network to connect with the people in your area. Facebook is made up of many networks, each built around a company, region or school. Join the networks that reflect your real-life communities to learn more about the people who work and learn, live, or study around you. Facebook has an application called Cash Cliques that is very easy to install on your Facebook account and you can get some money. How does it work? For each ad you on, you get paid. And that you get paid when friends you referred click on ads! If you’re lucky enough there are also random cash prizes. For example, if you click 10 ads per day and take 50 friend, who also 10 ads per day, at the end of the month you $ 153. It’s not much but it’s very easy to do! Facebook is one of the largest and most successful social networking site worldwide. It has a wide audience and the demographics of the Facebook population is more or less the general buying public young teens in middle-aged working class individuals. You have probably already aware of the potential of this website in terms of marketing and sales and you’re absolutely right. You can use to get in touch money and market your own goods and services. Here are five ways to make money on Facebook. Now these are not part of a scam or “get rich quick” schemes that you may have read or heard about. Facebook is not a market per se, and most of the time that the “promote your blog or affiliate on the wall of another person” will not get you the results you want.Instead, use these tips from the approved applications already available on the site so you can optimize your stay on Facebook. * CafePress Listings. If you are not very familiar with CafePress, it is actually an application in facebook that allows you to design and sell CafePress items. You can create your own CafePress account from Facebook and you can also sell your products by offering them to people in facebook, or are contacts or not. * Use e3Buy Auction. This is an application you can sell things you want to sell. You can start making money with this feature, because people who visit your site will be able to program it to your profile. So for them to see, you have to do is to visit as many profile pages as possible to let other people know you exist. * Use flame tunes. Love music? Maybe you’re a DJ or someone who loves good music to mix and match. With this Facebook application, you can play and record music with what instrument you have than to sell to your contacts and other people on Facebook. You can also use mixers or other equipment, so you better flexibility and sound quality. * Garage Sale. This is an application that as reliable as air.Garage Sale is a very simple way to keep your old stuff and other items used to sell to other people. You can also sell other things as you produce custom made bead bracelets and other accessories. * Cash Cliques. This application will pay you to visit or click on it and a comment in a number of ad sites to leave. 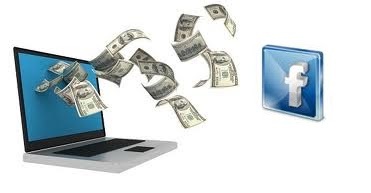 Other than this pay-per-click system, you can also earn other people to the site. * Put an ad space on your profile page – If you think you interesting enough to look for then yes, you can easily try this option. Just create a space advertisers and advertisers would be interested in placing their advertising on space. Facebook is definitely something that takes the industry by storm.Everyone likes to enjoy Facebook and the various applications available, so why miss out on the opportunity as well? Using these applications you can make money and get more contacts. 12 Ways To Make Money On Facebook! Make money with facebook! If you’re a Facebook user or social networking sites have been around for a while, you’ve probably heard that. But is it really possible to make money with Facebook?How would you go about making money on facebook? Well, thanks to some very useful and user friendly applications, today almost anyone with a Facebook page, to make money in the truth of ways. 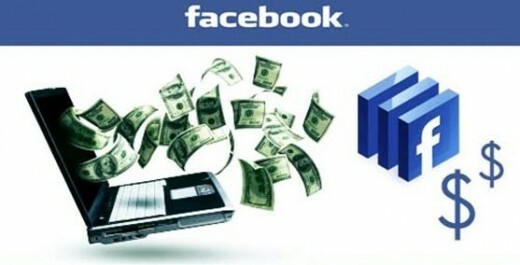 With a simple installation, you can click your way to make money on Facebook. Of course like any other methods to make money, especially making money online, it takes hard work and perseverance to be a fair amount of money on Facebook.Although these applications make it easy to go on the path of making money with facebook, the strategy and a well thought out plan, combined with perseverance and hard work that ultimately factors in your success or failure in making money with Facebook.Here are some applications you can use to make money on Facebook. 1. Radical Buy This is almost like a facebook made ebay. You can sell anything on your Facebook page using this unique app. List an item and leave it visible to all Facebook users instantly. Now, the cool think is that you can offer commission to others who will sell your items on their Facebook page, so you reach more potential buyers. Of course, that even if you are not an item for sale, you can see other peoples item on your Facebook page and earn money with the job you get to sell stuff there. 2. Mijn Merch shop if you red my 9 Customers earn money by designing and selling … article, then you know about Zazzle. Well, now zazzel you can create and design each product on their site (which is free) and sell them on your face book. Think about the potential customer base for custom t-shirts and hats and etc, especially if you have a lot of Facebook friends. You can also sell products made by other artists and earn a commission on that. So even if you do not want to continue to design, a way to make money on face book Zazzle have. 3. Cafe Press is the same idea as Zazzle, but with a much larger and well known online store. CafePress easy a product of anti-Obama shirts to sell to pro-Obama shirts on your facebook and make money, whether made by you or anyone else. 4. Ether Ether is a website you can make money by giving advice to people over the phone or by chatting. But now, you can use their new application on facebook to make money while giving advice to people on the phone. If you are good at giving advice, this may be the way for you to make some extra money on Facebook. Even if you know a second language, this app makes it easy to teach others and make money. You set the rates and Ether provides a number that individuals can call. The call is then forwarded to your personal phone number. 5. Music Music With Blaster blaster you a simple little music store on your Facebook and sell music BlastMyMusic.com. If you earn 5% for each song sold. The cool think about this app is the fact that your favorite band or singer to help sell their music while you make money, and help them get more exposure. 6. Garage Sale The name says it all, the good old Garage Sale, but a “facebooky” Garage Sale. Garage Sale simply add to your profile page and list everything you want to sell. If someone buys something, Garage Sale buyer credit card bills automatically and let you when the item ships. Your money is deposited directly into your Pay Pal account, or you can request payment by check. But they charge a 5% commission on total sales, but that’s all. No other fees for setup or something. 7. Shopit Shopit is a free Social Commerce Network that allows users to buy, sell or trade a product or service. Simply add a free store to your Facebook and sell anything you want. Another easy way to make money on Facebook. 8. Flame tunes FT was founded in 2007 by an Iranian-American named Nima Khakpour. This app is more for artists to sell their music. So, if you’re an artist, flame tunes to sell your music on your Facebook. You can also use it to sell music on myspace. 9. Lemonade Remember, when you install your first lemonade stand in your community? Well, this app allows you to use the same concept, a combination of commerce and community, and have a lemonade stand in a digital (facebook) district. Basically, you add what you want to sell at a lemonade stand, and put it on your Facebook. It’s free and easy. 10. Who knew that ebay was? Yep, you guessed it. Now your ebay on facebook. This application allows you to eBay auction listings to add to your profile. Sell things to your Facebook friends crafts, jewelry journal pages, underwear and dinner dates or just what you sell on eBay! You also have the option to add a charity auction to support you, on your Facebook profile. I think it’s a very clever way of combining eBay and Facebook, and you do not even have an eBay account! 11. Lending Club is almost prosper want, where you land to others and earn money with the interest you the loan. No worries, lending club has all the details. Yes, it’s completely safe, and all legal issues and take care trust by lending club. Safley If you use may be a good way to monetize your Facebook. 12. e3buy Auction Buy, sell or trade anything. Buy your used or new items. With e3buy you can open a shop steward, upload your logo and start selling things. unlike ebay, there is no commission or fee to be paid. it’s completely free to use. It is also fully integrated with paypal, so you can get paid quickly. If you know of an application that enables one to make money using Facebook, let me know and I’ll add to this list. There you have it, 12 years free applications you can take advantage of to make money on Facebook. Facebook, the social networking site originally designed for secondary school students are, has become a marketing and earning tool for all types of people and businesses. You can use to contact your project or service to promote and even earn money while doing so. Facebook offers many opportunities for customers to make money in cyberspace. Here’s how to do it. Make online ads targeted to a specific group. Maybe you publish chick lit books targeted at young women and teenage and college age, wants to attract buyers. Buy ads on Facebook pages appropriate to your specific audience. With billions of page impressions per month, it’s worth the time and investment. Using the Facebook user applications for your business or project known. By creating an application, such as “My Favorite Movie” and allowing other Facebook users to access, you will find somewhere to add a few hundred to a few million people to view your product or service. While the application model is not as simple as paid advertising can bring money to you through pay-per-click and revenue sharing. Coordinate your Facebook page with affiliate programs on other sites. If you have a book, DVD or CD, use an Amazon button to drive people to “buy” for your product. Or use a generic affiliate program that gives you a certain amount of money every time something clicks through to an Amazon item from your page. Setting up a Cafepress account to your own T-shirts, coffee mugs or other items to sell. Add a link on your Facebook page. A CafePress account requires no money up front and you pay a percentage each time someone orders your swag. Use eBay to pitch your product. Again, use the left post and let your friends know what you sell on eBay. If you homemade products, using Etsy to sell them, or try Deviant Art if you paint or draw. You get your creative work out there and earn money in the process. How To Earn Money On Facebook Within Two Clicks? With social commerce becoming one of the hottest topics of the year Buxter ClickandBuy today a white paper merchant based on their in-contact-Payment solution “Buxter. The white paper provides valuable insights into the benefits of one-touch click-payments compared with traditional methods like Paypal or Alertpay. “How can I get my conversion rate?” This is the most urgent challenge facing most online merchants permanently. They have to work hard to reduce their shopping cart abandonment, especially by continually tweaking and streamlining their payment. For those traders who do business on Facebook or planning to do so now a new approach to streamline available: the ‘Buxter wallet, “a Facebook application created by famous internet payment service provider ClickandBuy. Not only this solution a Facebook app Fast Lane to provide a checkout by a highly streamlined “2-click-buy ‘option, but do to minimize the bounce rate of payment processing. How does this work? We all know that the regular payment process: click on a ‘Buy Now’ button, will be redirected to an external payment processor like PayPal, enter payment information and eventually return to the merchant website. Although this procedure is suffered, but generally accepted by users of standard web sites and online stores, this is not the case within the Facebook community. Facebook users do not want to leave the Facebook ecosystem in paying for a virtual object or property, eg in a Facebook app or game on a Facebook page shop. They want to stay within their familiar environment Facebook.The acquisition must be fast, because it is helping a user does within Facebook in this exact moment, eg buing a powerful weapon in battle or buy a virtual instant present. With a Buxter Facebook trader can easily exactly needs of users.When paying with Buxter the customer remains in contact, confirmation of payment through a standard contact confirmation dialog via a single click and an optional password. This streamlined payment process – branded by the Buxter team as In-touch payment “- completely eliminates the disruption of traditional media, payment process, ultimately increasing conversion rates for the merchant. “With Buxter we offer a large in-touch payment solution for any trader who sells on Facebook or plans to do so. If the seller is interested in conversions and lower cost contact credits we are definitely one to check,” said Christian von Hammel-Bonten, SVP and Head of Product Management at ClickandBuy. Today the team has released Buxter Buxter White Paper, subtitled “How to increase your ROI With Facebook App Buxter. This white paper provides a valuable insight into the business challenges of Facebook apps and how they can be controlled using the Buxter solution. Since this is my money with Facebook uncensored story. The ups, the downs, some stuff did not work and ultimately the only thing that helped me to my goal to make money with Facebook. Above all, I want my front porch one method that works express.Every time I encountered a problem. In some cases it was necessary for an investment of several hundred dollars to his campaigns on Adsense CPC or other flat forms. Sometimes the proposed method was brilliant (I think Fiverr method, Technorati method), but widespread elsewhere and therefore hits the method used did not work when I tried using! And I am not speaking of all these methods would miraculous.Approximately 95% of the measurement techniques are fakes. Finally, after several months, I came across this step by step method that describes precisely how to make money with Facebook. This product is Facebook Ads Guide. The concept was developed by Jonathan Volk, a marketing guru! This method worked for me, look at my results (after just one week! ).